Air Conditioners & Heat Pumps | Reliable Heating & Air Conditioning LTD.
For more than a decade, Reliable Heating and Air Conditioning Ltd. has been providing topnotch maintenance and repair of air conditioners to commercial and residential clients in Winnipeg, Manitoba and the surrounding area. Our technicians pride themselves on their ability to diagnose problems and recommend solutions that best meet our customer’s heating and cooling needs. The comfort and indoor air quality of your home or business facility is our top priority. We will always be respectful of your budget. We explore all air conditioner options, with the goal of finding a solution that meets your unique needs at the lowest possible cost. When you trust your equipment repair needs to Reliable, you’ll never face high pressure sales tactics. Our air conditioning service experts will always endeavor to repair your existing equipment before suggesting a replacement. 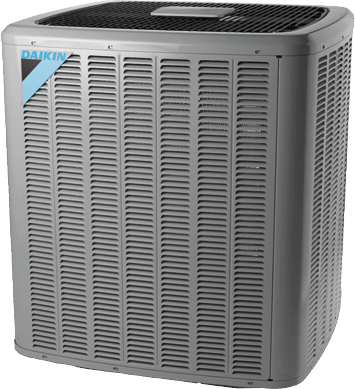 Reliable Heating & Air Conditioning Ltd. is the exclusive dealer for Daikin. These systems combine excellent heating and cooling performance with some of the quietest, most unobtrusive central air conditioner units available. Daikin is a pioneer in the use of Variable Refrigerant Flow in their air conditioners, which uses a single outside unit while allowing individual control over several indoor zones. With a Daikin system, you won’t have to heat or cool a part of your home that you aren’t using.